Superior sound and comfort? Yes please. While graphics tend to get all the love when it comes to PC hardware, audio is just as important for immersion. But that doesn’t mean you need to reach for a gaming headset. While gaming headsets often come with convenient features like built-in mics, you often get superior sound and comfort from a normal pair of headphones. There’s even a way to add a boom mic to them. Here are the top reasons to consider buying a pair of headphones rather than a gaming headset. If you like to play for four hours, rather than forty minutes, at a time, comfort matters a lot. Oddly, many gaming headsets aren’t that comfortable. It takes a lot of design work to devise a headband and padding that stays comfy for the long haul. Companies like Bose, which has been making headphones for decades, have the art of headphone comfort nailed down. You’d get eyeball ache before earache when playing with a pair of Bose QuietComfort 35 II wrapped around your head. Bose uses memory foam in the pads to help them conform to the contours of your head, and the headband grip has such a light touch you almost forget you’re wearing a pair. A lot of gamer headsets don’t sound great. The focus is often on packing in surround sound technology, which is rarely all that convincing, or either emphasising quiet sounds for “pro” players, or in-game explosions. What gaming headsets rarely get spot-on are the elements that make for high-quality audio. Soundstage imaging, separation, tonal balance and bass depth and decay are rarely more than OK, even in higher-end headsets. Headphones designed for music can’t get away with the kind of cheap tricks of gamer gear and premium headphones almost universally sound great. 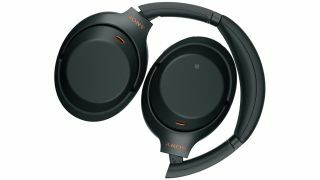 The Sony WH-1000XM3 are near the top of our list. They have the bass depth to lend real power to action games. And the detail and separation to make the soundscapes of a fantasy RPG or a title drenched in atmospheric sound design like Hellblade: Senua’s Sacrifice engrossing. When you spend a good chunk of money on a headset for gaming, doesn’t it seem a shame you can’t use it when simply walking around listening to music? OK, so you can with many models. Whether you’d want to is a different question, though. Some gaming headsets have non-removable boom mics. Others have juvenile gamer insignia that might well get your laughed out of your office. And sets that manage to stay away from either of these issues tend to be a little bulky, again because they are not designed with portable use in mind. You could choose virtually any portable headphone and it will out-class 95 percent of gaming headsets. Even Skullcandy, once the master of pairs designed to stand out a mile on the high street, makes a subdued and classy full-size pair, the Skullcandy Hesh 3. There are other features to consider too. You may see some gaming headsets described as “noise cancelling”, but this usually simply refers to the passive noise blocking you get with a closed cup and leatherette pads. It’s a simple physical barrier between your eardrum and noise. The Bose QuietComfort 35 II and Sony WH-1000XM3 have true active noise cancellation, where inverse waves of ambient noise are used to cancel out unwanted sound. This is most useful when you’re listening to music out on the street, but is also a treat if you have noisy family members, housemates or neighbours who seem hellbent on distracting you. The main appeal of a gaming headset is that it includes a mic, so you can just plug it in and talk to teammates in multiplayer titles. Of course, if you like gaming because it lets you get away from other people, that boom mic sits there like a vestigial limb. And if you dip in and out of single and multi-player play, it’s pretty easy to add a good gaming microphone to a pair of headphones anyway. The Antilion Audio Modmic and V-Moda BoomPro simply attach to the 3.5mm socket on your headphones, adding a high-quality mic to just about any pair you like. The Modmic also uses a suction cup for a surer grip.